Report bugs in this thread or by PM to me. Only critical ones will probably be fixed. 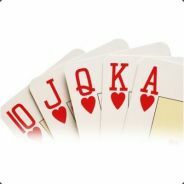 If a game is missing, report in this thread or PM me. I need date of game (and the next/previous date if close to midnight). Hi, thanks for this. When I click in the link all I get is a "Unable to query the server" message at the bottom. That means it failed to get data at the moment ; try again in a minute or so. I can't see anything exceptional at the server the last couple of days so it was probably just a bit slow responding while updating the database. I didn't find a topic about your other tool : BB2Stats. I added a download link on the game page under section "highlights". Got some questions in chat regarding BB2Stats and goblinSpy, but chat is too small to respond so, this is the response. what does best playmaker measure? I counted and rewatched the replay several times and i can only hazard that the stats are all doubled? Wow, yea, feels like BB2Stats was forever ago. Please note that I'm doing as little as possible on goblinSpy and basically nothing on BB2Stats nowadays, because I got other things to do. But I'll see if I can answer things for you. Some stats are calculated based on the replays and may therefore be only somewhat correct, and some stats are as calculated by the game. Playmaker is just the title for the leaderboard ranking based on meters passed (or InflictedMetersPassing as cyanide call it). InflictedMetersPassing is calculated by the game. As for doubled, it's the values given by cyanide, so I assume they call each square 2 meters. anyway to hide columns in goblinspy? Hiding columns in goblinSpy is still a bit "advanced". I was planning to make it easy, but I never got to it. If you open the advanced mode on a query by clicking "Edit", you can add or remove "Alias". Add an alias, set to "<hide>" on the column value you want to hide and then press "Execute query". This will be remembered if you use the "Export view" to show the result to somweone else or embedded on a page. why isnt goblinspy as useful as statsgrabber? Well it depends on what you mean by useful. No calculated stats, such as Good/neutral/bad blocks, Risk, Luck, Dodges, Pickups etc, in the normal lists. This is because the server would not like it if it had to download and process all thousands of replay files so I only use what is already calculated by Cyanide for goblinSpy. You can still see most of the advanced stats on goblinSpy if you click the magnifying glass on the game and then choose details. This is not gonna change. This is because a quick sort like what is used on BB2Stats would only sort whats currently on screen. on all games, including what's not currently shown on screen. And you can't show all thousands of games on the same screen. I therefore choose to use query-sorting instead of quick-sorting. and I'm not motivated enough to do that at the moment. This is most likely not gonna change. No "front page" with leaderboard etc. If you got any ideas to make it more useful, let me know. I might not bother to implement it, but you never now. Thanks for all the info! you rock. If you could just name "playmaker" to "Top 10 Receivers" we would be all set. Finally, is there anyway to determine passing yardage as a stat for the throwers? Added front pages that are simpler. Old advanced queries now under a separate button. Front pages do not allow filtering, but have click-to-sort column headers (only sorts visible content). Front pages have some clickable teamnames and coachnames taking you to team/coach- pages. Let me know if I broke something or if you miss something. Nice! I really liked your dark style, but the text colour is off with it. Any chance of a change? Works fine in light, so no bother if you don't want to. oh,right, haven't bothered to check that. will take a look and see if I can make it work. You will need to reload the page and re-select the Dark style. Could you please reload the results for this competition? We started on the 15th of October but the competition was not activated..
We played on the 15, 16, 17, 19, 22 and 26th of October. Hi. I think it has done the collecting now (takes a while after activation). I tried to remove 1 game because it has been reset but the button is not working. I only see the 2-2 result so the button seems to have worked. It however takes a while until the result is shown (it doesn't collect immediately). PM me if you still have issues. There is something I don't fully understand. I reviewed the web replay and team turkish delights only rolled a double skull (turn 2). But on the chart 2d+ block best dice it seems they had 5 of them. How are they calculated? Maybe am I misunderstanding the chart? Also when I try to download the replay file (to doublecheck) windows explorer tells me the zip file is corrupted. I had made a logic error in the presentation of those dices. Corrected now. You may need to hold shift while pressing reload on the page in order to force the browser to use the fix (if it's cached). It's the same file that I unzip on server in order to parse the data, but 7zip and windows extraction don't like the files for some reason.